and production are as varied as they are deep, on both sides of the camera. and founded EmCo as a way of creating unique, relevant and entertaining content across all media channels. Emrhys Cooper is no stranger to the silver screen. 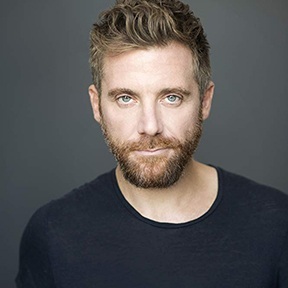 The British-born actor, producer and filmmaker has enjoyed on-screen success in Person of Interest, Desperate Housewives, CSI: NY and the film Mamma Mia! alongside Meryl Streep and Pierce Brosnan, among other noteworthy credits. While Cooper found on-screen accomplishment in many acclaimed projects; he learned the value of creating his own content early on in his career in Los Angeles. Cooper was eager to create work that he truly believed in, and felt deeply passionate to share with the world. In an answer to that calling Cooper formed DreamIt Productions® alongside internet mogul Richard Lutz. 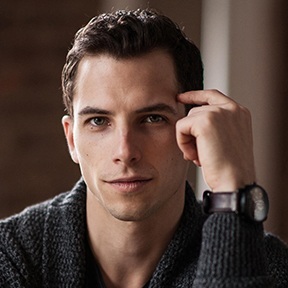 Cooper’s initial ventures into the world of production included such successes as the romantic comedy Walk a Mile in My Pradas (Amazon Prime Video), the dramedy Til We Meet Again (Netflix/Amazon Prime Video) and horror feature The Lucifer Effect, which will be released on key streaming platforms in late 2018. In 2017 Cooper spearheaded the worldwide release of the Bhutanese acclaimed feature film: Kushuthara: Pattern of Love. The film received global accolades as the most widely-released Bhutanese film of all time, starring Cooper as the premier Western actor to star in a Bhutanese feature film. Further, Cooper’s performance was applauded and garnered him the award for “Best Lead Actor” at California’s renowned Indie Film Festival. Early 2018 marked Cooper’s directorial debut, with the short film Trophy Boy. Cooper was again inspired to create his own work after witnessing firsthand the damaging effect social media can have on one’s own perception of reality, if not carefully avoided. 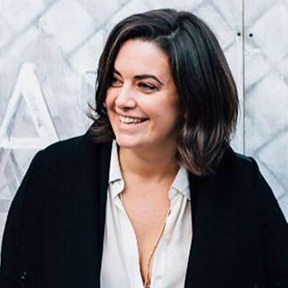 Danika Underhill is an award-winning interdisciplinary Art Director who specializes in photography, video and design within the realms of marketing, branding and advertising. She grew up in Southern California and earned her film degree with honors from San Francisco State University, specializing in Animation Production with a minor in Graphic Communications. Proving early on to be diligent with her deadlines, Danika was the only student within the prestigious Animation Department to finish their thesis film on time to be included in film finals, where hers stood out among all films screened to gain recognition from The International Animated Film Association (ASIFA). After finishing school, Danika combined her technical skill with light and camera, natural storytelling ability and design sensibility into a career spanning the various aspects of Art Direction for both still and moving images. Over the past fifteen years she's worked in collaboration with top photographers such as Pamela Hanson, Patrick Demarchelier and Arthur Elgort, as well as partnering with brands such as Alexander Wang, Cole Haan, Nordstrom, Fashion Nova, Ann Taylor, Amazon and Target. Her highly compelling work has been included in Lürzer's Archive and earned her two Telly Awards, as well as various print design honors. With EmCo, Danika has the dual focus on designing projects into compelling pitch materials, look books and business plans as well as securing key partnerships and producing projects such as the short film Trophy Boy as it is developed for television. Danika lives in the Lower East Side of Manhattan with her husband and daughter. Her theory on Art Direction, as it is in life, is this: have fun or what's the point? Donal proudly hails from Dublin, Ireland and found his love of storytelling growing up around the Joycean characters of his youth. Having always dreamed of following in the footsteps if his idols Marlon Brando and Dustan Hoffman, Donal moved to NYC to study acting under the legendary Bill Esper. After graduating at the top of his class, Donal worked extensively in the New York downtown theater and independent cinema scene. In 2008, to satisfy his love and knowledge of Scotch Whisky, Donal opened his first gastropub, the West Village institution Highlands, to a roaring reception. Following the success of Highlands, Donal’s career took a detour from the performing arts and he went on to have a rewarding career in the restaurant world, proving himself to be a real renaissance man opening up a string of boutique restaurant and bars; Mary Queen of Scot on the Lower East Side, Whitehall in the West Village and The Surf Lodge in Montauk. After seven years of owning and operating his businesses, Donal got the acting bug once more and got back to doing what he loves best; being a story teller. Donal’s career has been in full flight since his return with such notable credits as Blue Bloods on CBS, Unforgettable on AMC, the Lifetime Original move Savage Revenge and the critically-acclaimed remake of the Francis Ford Coppola classic Dementia 13. Donal has also been in several recent successful stage productions such as The Picture Of Dorian Grey And The Seagull. In the last two years Donal has been busying himself with writing, producing and collaborating with his writing partner Jamie Moss (X-Men First Class, Planet of the Apes, Ghost in the Shell) on the much-anticipated project in development The Bird Streets as well as being an integral part of the adaptation of the short film Trophy Boy for television. Donal is excited to be part of the EmCO creative team. Amanda is an experienced Global Marketing Director & CEO with a passion for helping small businesses expand into new markets with practical strategic planning and marketing. Since 2010, Amanda has created brand partnerships, social media influencer campaigns, trade shows, global marketing channels, online channels, e-commerce sites as well as behind-the-scenes NYFW partnerships. Amanda has worked with many luxury footwear designers, retailers and fashion brands such as Opening Ceremony. Amanda has worked and consulted for a number of brands looking to expand to the USA, UK, Australia and globally with clients including We Are Knitters, Krysten Ritter/Krysten Knitter Kits, Dion Lee, Karolina York, Rollie Nation (James Goldcrown/Lovewall Collaboration), Belly Beasts (Launch at GDC) , UMENCO as well as many others. Lisa DuFort comes from a production and music business background. She has worked on such shows as Keeping Up with the Kardashians and The X Factor USA, where she worked as a song selection supervisor, honing performances of top contestants, and preparing them for their live televised performances. Lisa has curated music and selected songs for such top brands as Carnival Cruise Line, where she refined the atmosphere of Carnival's ships and using music to set the ambiance of various spaces onboard their fleet. Her forte is using music to enhance creative projects; setting the tone and enhancing the audience's sensory experience. DuFort works with EmCo Entertainment's clients to refine brand strategies, copy and content. Benjamin discovered an initial fascination for storytelling at his family’s farm in Upstate New York where he drafted siblings & friends to work on his early films. Just after High School, he spent a year deployed in Search and Rescue, where he honed the strong leadership and team building skills necessary to excel in the film industry. Ben later moved to New York City to attend film school and soon began producing, directing, and filming a wide range of projects. His goal has always been to tell each story as truthfully as possible and to push boundaries into the unexplored. He now embarks on building a new brand and working with others to strengthen theirs, while bringing each story to life. For Ben, no tale is ever too small, and no venture is ever too daunting.